Subscribe and stay in touch with one of the most beautiful, exciting spots in the West! A one-year subscription (two issues) is $15.95 for a limited time! When you subscribe, your credit card, debit card, or PayPal account will be charged $15.95 annually. If you need to stop your subscription for any reason, you can use the button below to do so. We are also the publishers of the San Juan Skyway Visitor Guide. 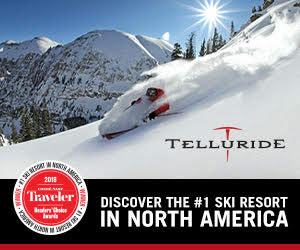 You can order a single issue for by emailing editor@telluridemagazine.com. Single issues are $5.95. Current issues of both publications are available digitally for free on our site. If you would like to peruse our archives online, click here.